For more information about our accreditations and endorsements, see our accreditations booklet. The ISO 9000 family of quality management systems standards is designed to help organisations ensure that they meet the needs of customers while meeting statutory and regulatory requirements related to a product or service. This quality mark means ProTrainings have been audited, externally reviewed and thoroughly analysed based on our management processes and internal policies & procedures. While applying for ISO 9001 certification, ProTrainings were audited based on an extensive sampling of their sites, functions, products and services. ProTrainings were one of the first companies to become an ISO45001-2018 registered firm. This ISO rating consists of requirements that help combat occupational injuries and diseases that will help ProTrainings improve employee safety, reduce workplace risks and create better and safer working conditions. In the UK workforce alone, CPD is expected of most individual professionals in most sectors. It is generally governed by sector-specific professional bodies or regulators. Anyone who works within a sector that is formally regulated (e.g Nurses and Doctors), is likely to be required to track and progress their CPD in order to maintain their license to practice. Employers also increasingly expect their staff to undertake CPD, and may even measure them on it. ProTrainings are a certified provider of Continuous Professional Development (CPD) and have been awarded this mark for consistently meeting and offering a class service which includes a high level of training that has been externally evaluated for quality assurance purposes. 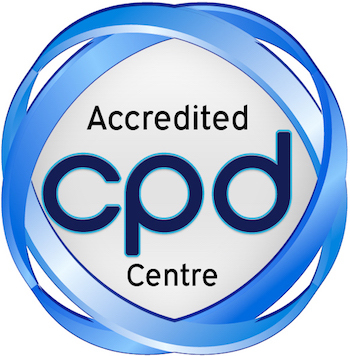 All ProTrainings qualifications are CPD Certified and if a student completes an online, blended or classroom course with an approved instructor, they can download their Certified CPD certificate from a student login area. The Skills for Care endorsement framework is the bespoke quality mark for learning and development providers within the adult social care sector. ProTrainings became an endorsed provider offering a full range of courses by surpassing a rigorously difficult inspection and is now the first organisation gaining approval for classroom and online training in the United Kingdom. This means ProTrainings are the only company who are endorsed by Skills for Care for both classroom and e-learning training adding great value and quality to the content and training we provide. ProTrainings have been awarded an endorsement for offering creative, professional and educational online courses through the means of video e-learning training. This highlights another element of our training package that offers quality and affordable training that has been reviewed by Skills for Care through their scheme and given a stamp of recognised quality. This approved logo is supporting evidence and a quality mark that will give users that confidence in the conventionality of our online training and its acceptance within the training industry. This is the highest standard of recognised endorsement and only organisations who have a proven history of continued success in making a difference in the training industry can be awarded the Centre of Excellence endorsement. ProTrainings proudly announce that we have received this endorsement for continuous professional training delivery. As a recognised Skills for Care provider who is already endorsed for delivering training through digital e-learning, classroom and blended formats, this enhanced Centre of Excellence endorsement will take our credibility and quality of training to an advanced state of recognition. The Centre of Excellence status means that we have been able to consistently demonstrate exemplary commitment to meeting the needs of learners in the adult social care sector. This meant we needed to comply with the social model of care and be able to measure the impact of provision on the lives of people who use these services. The Diamond Approved Centre logo is a quality mark awarded by TQUK for centres who demonstrate consistency and continuity through their training, delivery and assessment. This meant ProTrainings had to surpass every external quality assurance (EQA) visit for 3 consecutive years by maintaining quality training materials, meeting regulatory requirements for subject-specific qualifications, upholding a quality management system, ensuring our policies and process align to meet organisational and industry standards and more. 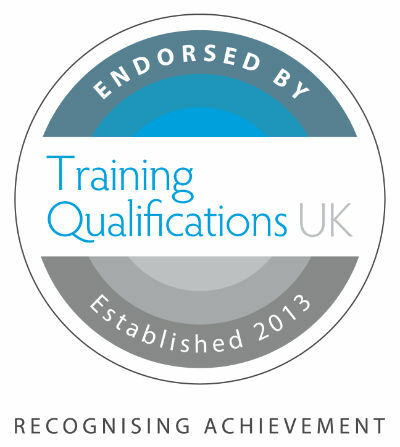 This logo is a message of achievement and represents success on a consistent basis giving users, customers and instructors confidence that ProTrainings operate and excel above the minimum requirements to be a TQUK centre. ProTrainings have surpassed quality requirements for delivering training at a consistently advanced level. To give our qualifications that extra credibility we endorse a variety of qualifications from a reputable organisation who conducts a thorough external quality assurance review of our training materials. Endorsed means, that our content and course has been externally reviewed and marked as being a highly recommended course that offers an extremely high standard. This gives the end user that confidence and peace of mind that the course they attend has been mapped, designed, and externally reviewed on meeting national or industry requirements. ProTrainings are approved by NASDU to deliver Security Dog First Aid training. This means ProTrainings are recommended by NASDU to provide Security Dog First Aid training for Security Dogs and Detection Dogs, having had the learning objectives contained in NASDU qualifications mapped against the learning outcomes of our ProTrainings qualification. This endorsement adds value to the ProTrainings Security First Aid course as NASDU promotes Welfare, Standards, Training and Education within the Security Dog Sector. NASDU is recognised within the security industry by the Security Industry Authority (S.I.A. ), Skills for Security, BSIA, IPSA together with the Home Office, ACPO, MOD, DEFRA, BSI, as well as Animal Welfare Groups like local Authority Dog Wardens.